We spent last weekend with our son's family in Washington DC - belatedly celebrating Annabelle's 2nd birthday. 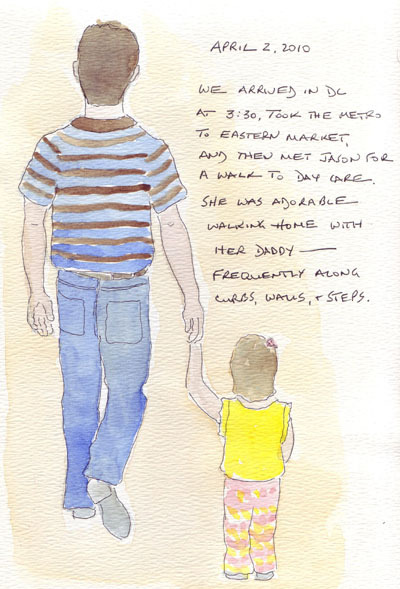 I started keeping a watercolor sketchbook for her when she was born, and try to complete one daily journal page during our visits. Previous pages can be seen here. 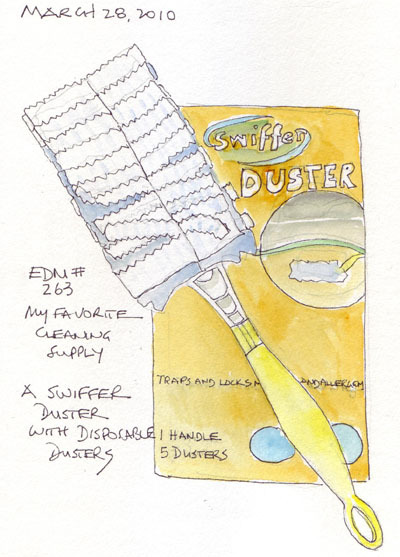 When I joined Everyday Matters in 2005, most of the sketches in my sketchbook were EDM weekly challenges. 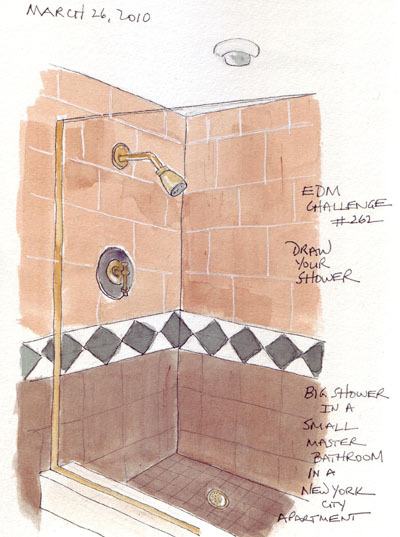 When I started sketching daily in 2006, I still added one of the challenges to my journals and blog each week. Now the weeks seem to pass quickly and several weeks go by without me thinking about the challenge. Then I decide to do 2 or 3 at once! That is what happened last week. One of the current exhibits at the Metropolitan Museum of Art is The Mourners - numerous alabaster grave sculptures (1443-56) from the tomb of John the Fearless, Duke of Burgundy, and his wife Margaret. There is a fabulous website with photographs of all of the sculptures. Each can be rotated 360 degree on the website for full viewing. The sculptures are in perfect condition - and so impressive, all lined up in two rows in the middle of the Medieval Hall in the middle of the Museum. 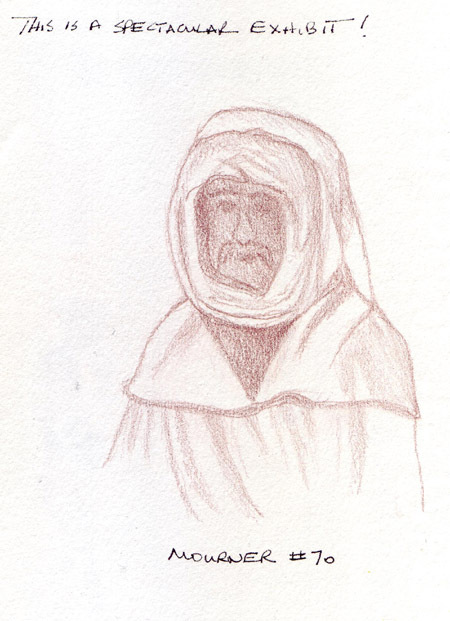 I am most attracted to the ones with the the hoods over their heads and sketched one full figure and one head. I'm so delighted that our modem was replaced and we now have internet access again. The Meet-Up Central Park Drawing Group met at the Museum of Natural History yesterday. 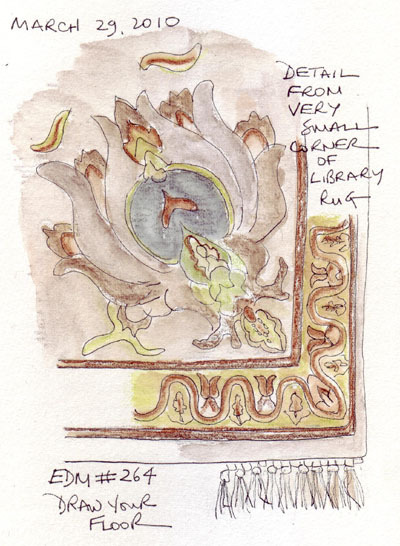 During our regular sessions we meet at the entrance, draw in a general region for approximately 30 minutes and then return to a central location to share our sketchbooks. We then move to a new location and repeat the process again and again for almost 3 hours. 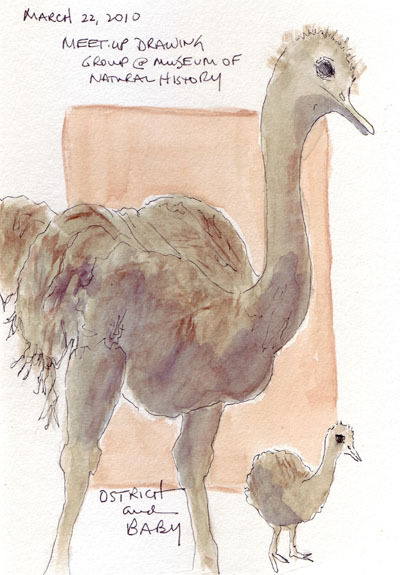 Yesterday we began in the African Mammal exhibits - on the balcony - and I was capitvated by the ostrich and babies. 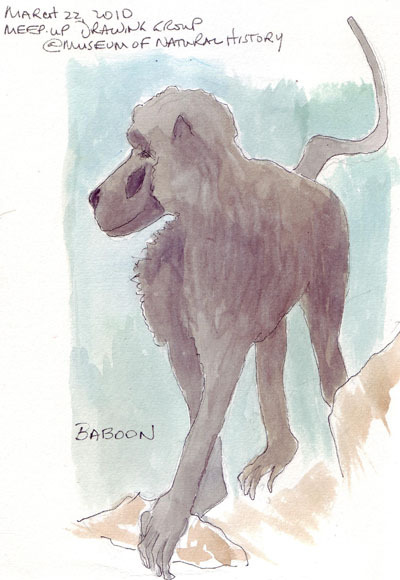 I also did a quick sketch of a baboon (paint added today). 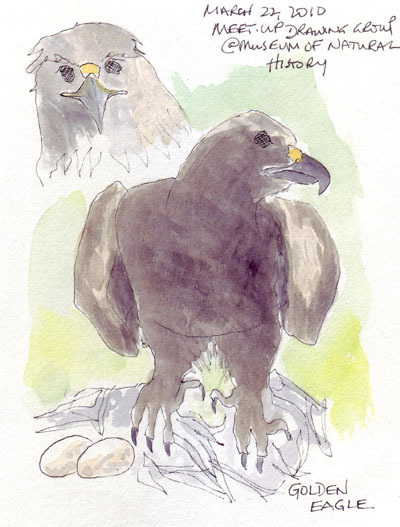 We then moved to the North American birds section (I'm not a bird lover) and I sketched a golden eagle. 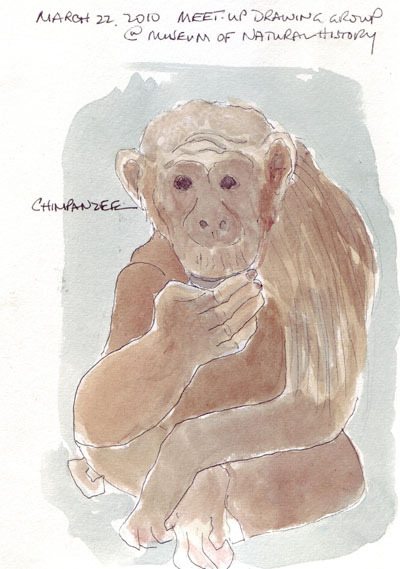 Around the corner was the primate section and the chimp had such a wonderful hand pose, I had to sketch him. 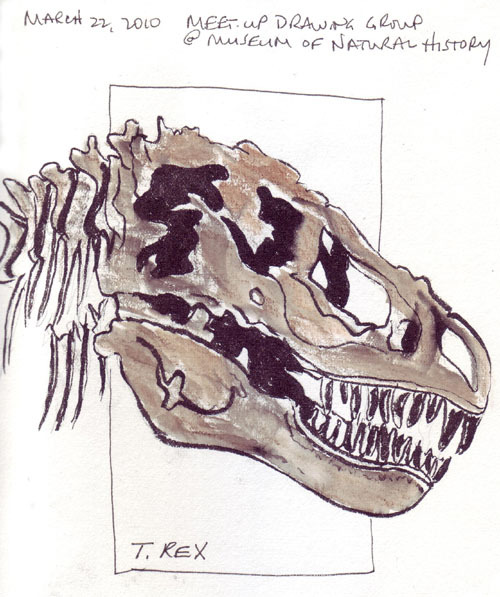 Finally we went to the 4th floor to the dinosaur skeletons and I sketched the head of T.Rex. The sketch was done in pencil and then I practiced using the dreaded Pentel Pocket Brush Pen and a watercolor pencil to finish the painting. Yesterday morning I learned of the tragic death of Danny Gregory's wife Patti. I only met Patti once 4 years ago, but was really impressed with her smile and energy. Danny is the author of Everyday Matters, a book of sketches and writing from the time following Patti's subway accident which left her paraplegic. 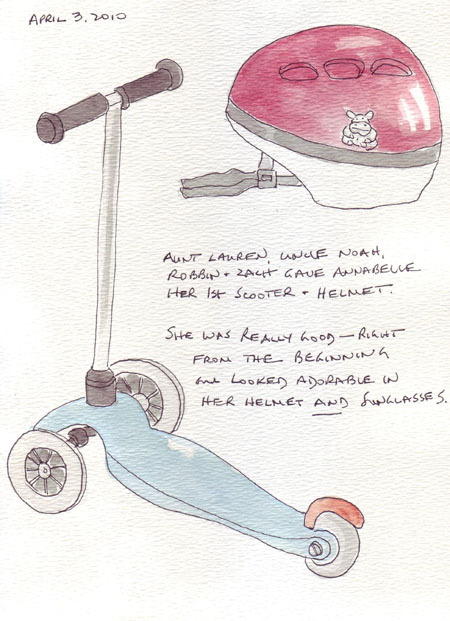 I was just beginning this journey, which I call sketchbook art, and joined his Everyday Matters online art group in September 2005. Over the last few years, by following Danny's blog, reading his subsequent books, The Creative License and An Illustrated Life, and taking a "visual journaling class" with him here in NYC, I learned more about them and their son Jack Tea. My heart is breaking for Danny and Jack. 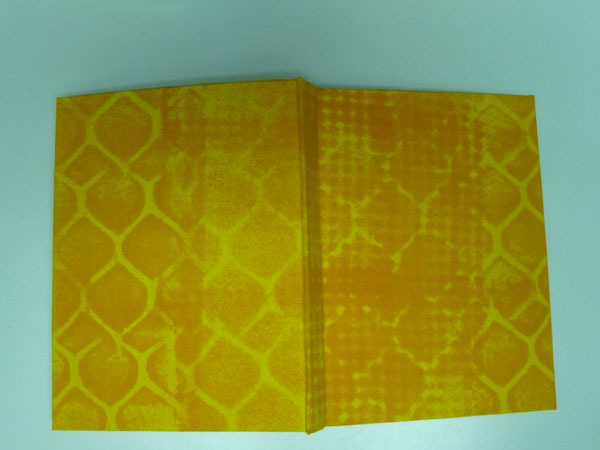 It is time for a little post about my obsession with bookbinding. 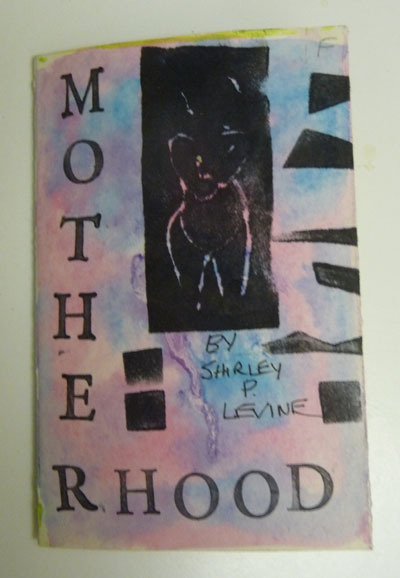 I started by recycling books as watercolor journals and then progressed to make 12 watercolor journals creating my own book covers and the book size of my choice. While dye painting fabric for quilting, I wondered whether I could make my own book cloth from these fabrics and this week finished my 4th watercolor journal using my own dyed fabric as bookcloth. For anyone reading this blog for the first time, the progression can be seen by clicking on the "Bookbinding" category on the right side of my blog page. I used Canson Mi Teintes paper for my end papers. It is available in many colors, is heavy enough so it doesn't stretch during the casing-in process, and is very inexpensive. Here is the end paper for this book. 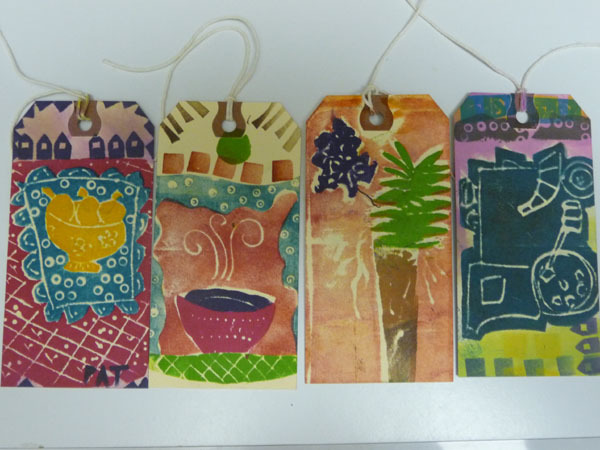 Our Monthly Art Group learned how to make adhesive-backed "fun foam stamps" from Pat last month and at the end of the afternoon, we each used our stamps to make everyone a tag from our designs. Pat does extraordinary work with her stamps and colored ink pads, We will do this again and I explored making a "pocket artist's book" to keep all of the tags together. The instructions came from Gwen Diehn's book Books For Kids to Make. 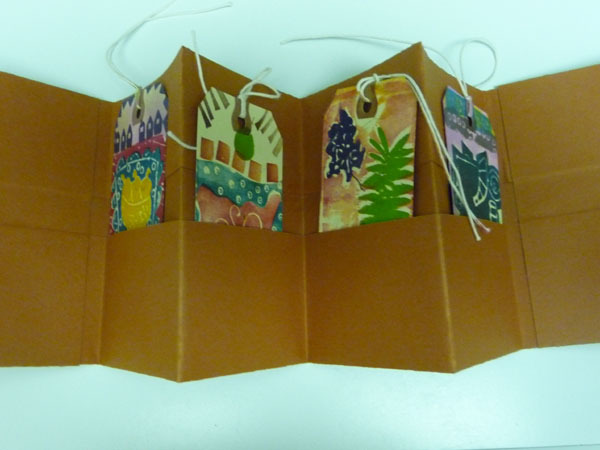 This month we are going to make very small "folded" artist's books (as seen in the link to Pat's blog above) and arrive prepared to "decorate each page." 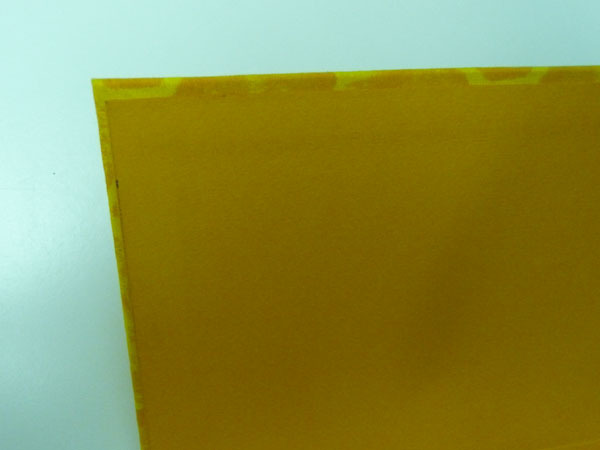 Then we'll make a small envelope for the book. 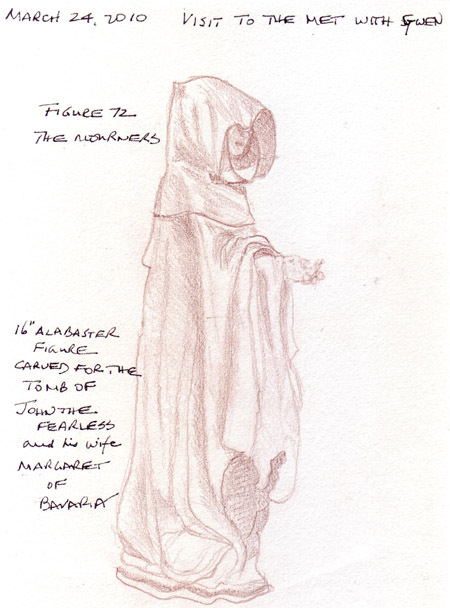 Here is a website that demonstrates the folding process. Our books will be made from a standard size sheet of paper (8.5 X 11"). I decided to play with the techniques even before our meeting next week and created the following tiny book and envelope. During the last two months I sketched a pregnant model at the Society of Illustrators figure drawing sessions and decided to feature her in my book. I reduced the size of each image to fit the page and collaged the printed reduced drawings in place. 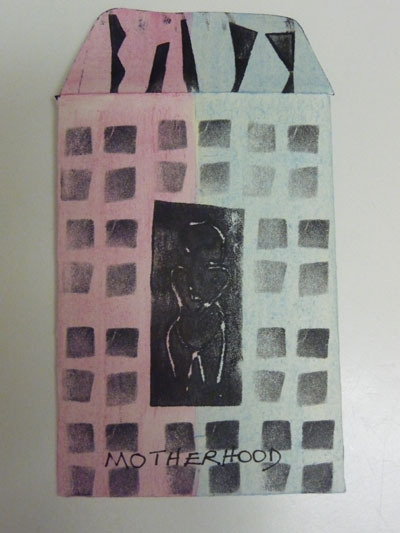 I made a fun foam stamp from one of the images and made the cover and the envelope.